Borage oil is another supplement on the shelves in nutrition stores, grocery stores, and drug stores. Not a common name like fish oil or garlic oil, but this product has been proven to have some amazing benefits. Borage oil comes from the seeds of borage. That makes sense, but what is borage? Borage is an annual herb that orginates in Syria. However, this plant can be grown and cultivated in milder climates found in many parts of the world. Its common nickname, starflower, comes from the five petals that are both narrow and pointed. Borage oil is rich in GLA. GLA is an omega-6 fatty acid that is an essential part of the human diet due to the bodies inability to make omega-6. Like omega-3 (which can be found in foods like salmon), it is a multi-purpose fat. 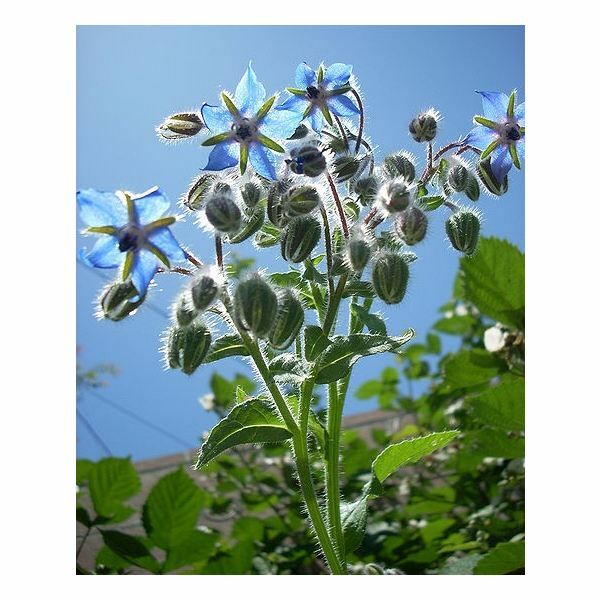 Due to its healthy fat of omega-3, borage oil provides the essential nutrients for the skin, nails, and hair. Hair follicles are made of a fatty lipid, so when omega-3 is added to one’s nutrition, hair becomes stronger and more vibrant. The same becomes true for the skin as it maintains its elasticity and healthy glow. It’s natural anti-inflammatory actions in the body also help reduce the symptoms of acne and eczema. Yes ladies, this oil can help with PMS. It acts as an anti-inflammatory which allows for better circulation, less cramping, less tender breasts, and less bloating. What more could a woman ask for? Though results don’t happen immediately, after a month of taking borage oil on a regular basis, PMS symptoms can be reduced. The most common effect it has is the lessening of the cramps. Bones are not just calcium based. They also require fatty acids like omega-3 and omega-6. By taking borage oil regularly, bone diseases, like osteoporosis, are more likely to be prevented. It has also shown improvement in the pain and stiffness of rheumatoid arthritis because of its anti-inflammatory properties. As mentioned above, the anti-inflammatory nature allows for better circulation. Improved circulation of blood flow reduces blood pressure. There are two main dangers that one should consider before taking borage oil. The first involves the liver. High levels of borage can cause toxicity, especially to the liver. In order to prevent any damage to the liver, never take more borage oil than is suggested on the bottle’s directions. Also, those who suffer from alcoholism should also speak with their doctor before taking borage oil. The second danger is for women who are pregnant. Borage oil can cause premature labor, so a woman who is pregnant should not take borage oil for any reason. Beyond these major issues, a few minor side effects can pop up, but are typically not severe. Some of those include nausea, headaches, and blood thinning.